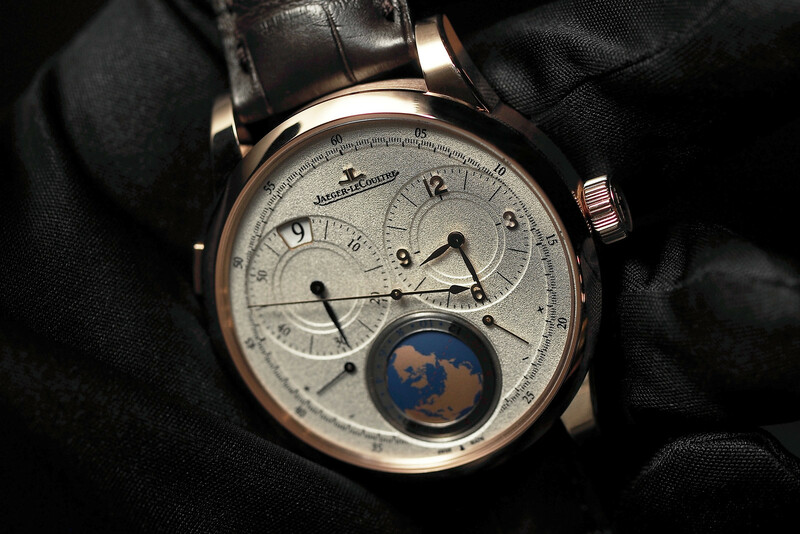 Swiss watch brand, Jaeger-LeCoultre, is known for its ingenuity and has numerous patents to its name. Based in Le Sentier, in the Vallée de Joux, the company is a “manufacture”, creating numerous in-house movements, with a history dating back to 1833. Furthermore, over the years, this prestigious watch company has supplied many other famous haute horlogerie brands with its calibers. Many of these details may be known to the readers of Professionalwatches.com, however, I feel duty bound to provide this information, to justify why I, like many, hold this company in high esteem. The Reverso, born in 1931, is an iconic timepiece. The term, “icon” is freely dispensed these days, but in the case of this Art Deco timepiece, the appellation is richly deserved. This year, Jaeger-LeCoultre has released two new Reverso models. However, Jaeger- LeCoultre is more than just the Reverso, with an extensive range of models from the traditional to the contemporary, small and large, with some watches featuring amazing complications. The Grande Reverso Night & Day is offered in a choice of steel ($9,750) or 18K pink gold ($19,200). It features a self-winding movement, the caliber 967B and features a gracefully elegant silver-toned guilloché dial. Despite the obvious beauty of the Grande Reverso Night & Day, the second new Reverso, somewhat pushed it into the shade. The Grande Reverso Ultra Thin 1931 in pink gold with a chocolate-toned dial ($18,800) was the belle of the ball at SIHH 2014. Last year, I wrote about the Grand Reverso Ultra Thin Duoface Blue on PW and waxed-lyrical about its numerous qualities. However, this latest iteration of the Reverso, with its delicious chocolate covered dial, is my favorite Reverso of all time. The maker’s nomen is absent from the dial and merely the discreet word, “Reverso” adorns the dial canvas. The functions are restricted to hours and minutes, imparted with sword-shaped hands and a small seconds display, framed in a charming rectangular subdial. The absence of additional functions is a strength of the design, successfully subscribing to the “less is more” philosophy. A gorgeous matching brown leather strap tastefully enhances the appearance of the watch. It is made by Casa Fagliano, an Argentinean company known for making polo boots. The case height is a svelte 7.3 mm. Ultra-thin watches are a speciality of the maison and this year, Jaeger-Le Coultre has produced several models which bestow a slender profile. Producing mechanical movements is not for the faint-hearted, necessitating immense skill and much experience but, to produce ultra-thin movements, fitting together minuscule components within a confined area, is the preserve of only the finest artisans. Jaeger-LeCoultre has produced two models, both featuring self-winding movements, one with hours, minutes and small seconds and a further model which adds the convenience of a date display. The Master Ultra Thin Date ($16,700) is my preferred model, presented in a pink gold with a 40 mm case. It is a mere 7.4 mm in height and sits unobtrusively on the wrist, feeling exceptionally comfortable. One recurring theme at SIHH 2014 was the incessant proclamations of being the thinnest watch in a particular category. Whilst this relentless pursuit of wafer-thin dimensions is impressive, I, personally, see more virtue in delivering an alluring aesthetic. In this regard, the Master Ultra Thin Date is very successful. It is refined and understated, quietly interfacing with the world without crass vulgarity. Moreover, with its slender proportions it has a timeless quality which should remain attractive and unaffected by changing fashions. Each time I have attended SIHH, Jaeger-LeCoultre has delivered a high-end timepiece which exhibits its watchmaking prowess. This year was no exception. The Hybris Mechanica 11 brings together two incredibly challenging complications, a minute repeater and a flying tourbillon. To work on a movement of this complexity, containing 471 parts, requires the adroit skill of a highly talented watchmaker with years of experience. However, even more remarkable is that the movement is only 4.8 mm in height and once placed in its 18K, extra-white, gold case it still only measures 7.9 mm in thickness. The challenges this presents cannot be underestimated and I am sure would be beyond the capabilities of many brands. This is a tour-de force and reaffirms, not that it is needed, why Jaeger-LeCoultre is one of the finest watch brands in existence. While I have selected only a few models from the novelties presented by Jaeger-leCoultre at SIHH 2014, the models I have focussed upon provide a representative microcosm of its impressive ability. Indeed, with arguably one of the more interesting and diverse collections at the annual trade fair, the brilliance of Jaeger-LeCoultre continues to shine brighter than ever. Previous articleAlpinaIntroducing the Alpina Startimer Pilot Automatic "Sunstar"